Cheap Website Designing in Pakistan. Getting a quality website at low cost is everybody’s favorite. 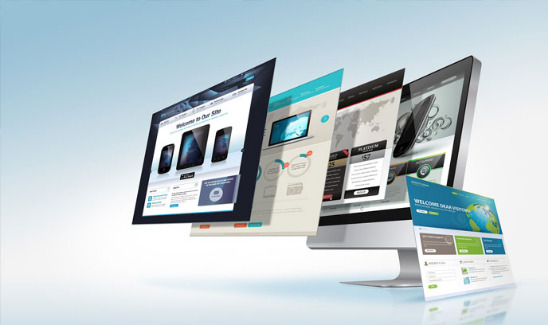 This may seem unrealistic but be sure that this is 100% possible and you are very likely to find website designing companies in Pakistan which can offer you very low cost website development. This article will help you define a plan leading to a very economical website development solution to suit your budget and yet without compromising on quality. c. What are textual and image contents you want to show on your website? d. Is their any kind of functionality or interactivity you need on your website? e. Do you have any specific design or functionality reservations. f. What is your target audience? g. How you want to keep your website updated on regular basis and who will do this job? h. What is your budget? Once you have answers to the above questions, that is the right time to put yourself to the next step which is explained below. Once you have found a number of website designing companies in Pakistan or your respective cities, you can send your website designing requirements and ask for a quote. You can ask for up to 5 website design companies to send their best quotes. You’ll most probably find website design quotations in your inbox. Now just sit relax and make a comparison. A cheap website designing offer should not be interpreted in terms of cost only. Also consider other factors like time and after sale support. Find out what each of them is offering you and try weigh pros an cons of each. Try to find out two to three quotes that best match your time and budget. This indeed is the one of the most important step towards choosing a web design service provider. You must give yourself some time to visit two to three different web development companies. Making a physical visit is very vital in finding out the appropriate cheap website designing service provider who really can deliver. If you happen to find a newly established company and you still believe they can do the job for you; ask for a demo presentation. However, if you come across an experienced web design organization, you may look at their existing work which can give you enough idea of their strength and weaknesses. |The last step is to make a decision. Don’t just keep lingering around. Take a step and give your website design job to an organization that you feel comfortable working with. Important thing is to keep involved throughout the development of your website. If you really want a product that meets your requirements, you must spend a good deal of time with your website designers and developers. Wish you good luck with your website design.